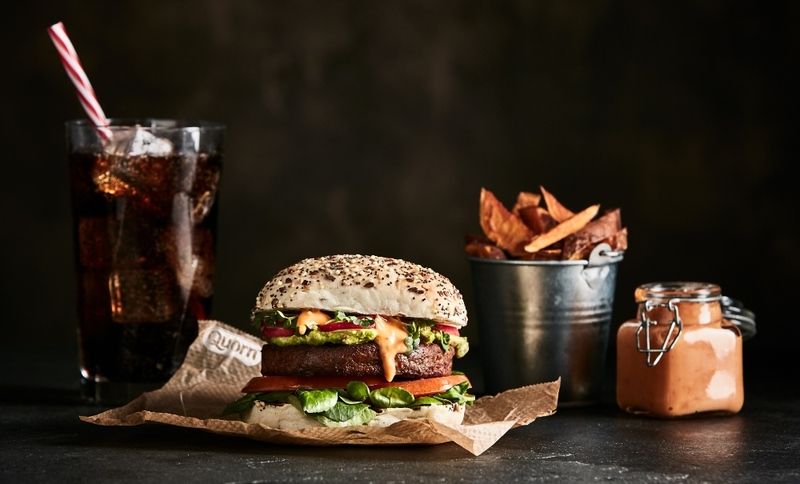 Vegetarian meat-replacement brand Quorn has announced the launch of a brand new vegan product – a gourmet vegan burger that it claims is unlike anything you’ve tasted before. 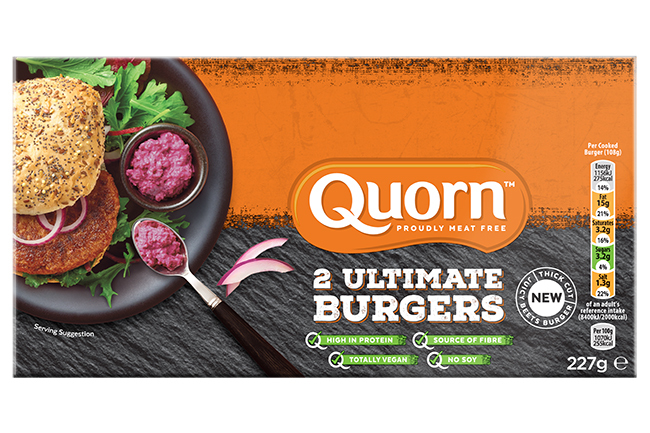 Vegetarian food brand Quorn has been keen to add to its vegan range in recent years to meet the growing demand for vegan products, releasing three new vegan-friendly products in 2017; vegan burgers, BBQ Strips and Five Grain Fillets, as well as deli slices and Cumberland sausages in 2018. The Quorn Ultimate Burger is a thick cut quarter pounder burger that contains beetroot juice to give the burger a realistic pink colour. Whilst the plant-based patty is not gluten-free, it is soy-free. In a statement sent to Plant Based News, Marketing Director at Quorn Foods, Alex Glen, said: “We’re now seeing the majority (52 percent) of the UK meat reduce. With this launch, we believe we can drive penetration of the meat-free category, by appealing to meat reducers, vegetarians and vegans alike with an innovative product that truly delivers on key attributes of taste, texture, and appearance. Quorn’s Ultimate Vegan Burger will launch in Tesco mid-April followed by ASDA and Sainsbury’s in June.